There are many names in the English language that people use to insult each other. Freak. Loser. Reject. Most of these names are hurtful yet brushed aside without a thought, but what happens to those we cling to? Those we obsess over? All his life, Harvey Carter had been picked on, tormented, and bullied. He tried to move on and live past the pain and anguish, but sometimes bullies get even… the very best of us. This time, Harvey cannot move on. 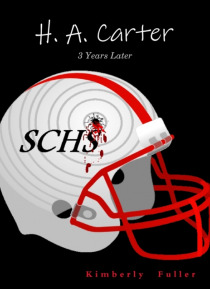 Set in the midst of a school massacre, you see the true agony that bullying can cause. Forced to live through the shooter's eyes, you see, hear, and feel how each occurrence slowly chips away at his soul until he is overcome with a choice so great that it makes you wonder what path you would have taken.